We are on day 6 of our Star Wars party food ideas for this year and today we are sharing our Darth Vader Cheese Ball and Star Wars Pops! 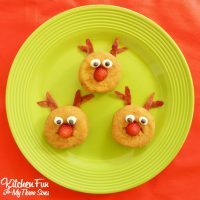 These were last minute ideas, but turned out pretty cute and easy to make! 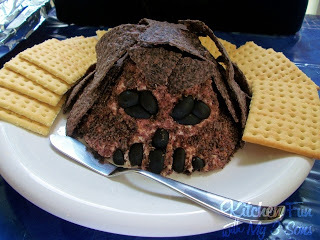 To make the Darth Cheese Ball we started out by crushing a hand full of blue chips. 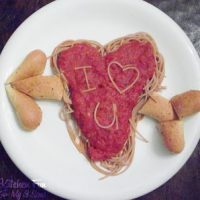 You can make any cheese ball. We made a Ranch cheese ball by mixing 2 packages of cream cheese, a packet of ranch dressing mix, & 2 cups of colby cheese. 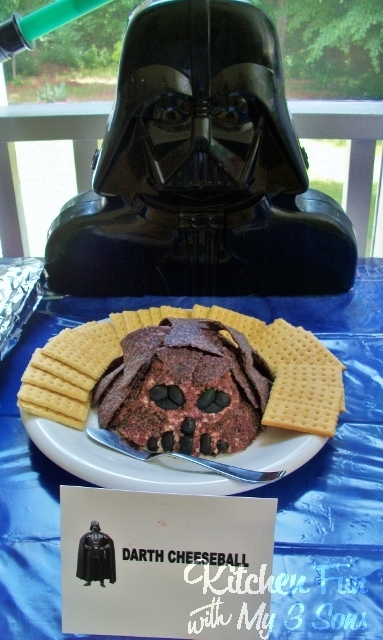 We shaped that into Darth Vader’s head on the plate. 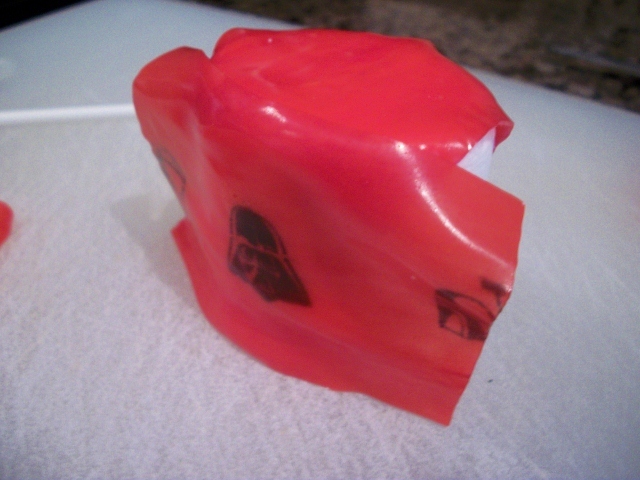 Place some wax paper down on the plate before you shape the head. That way it will catch the crumbs, etc.. Take your crushed chips and press around the head using more on the front. Cut some black olives to make the face and place chips around the top, back, and sides. 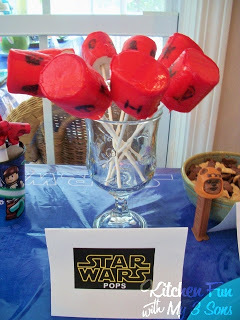 We made these super easy Star Wars Pops by using Jumbo Marshmallows, Star Wars Fruit Roll Ups, Strawberry Fruit Roll Ups, and Lollipop Sticks. 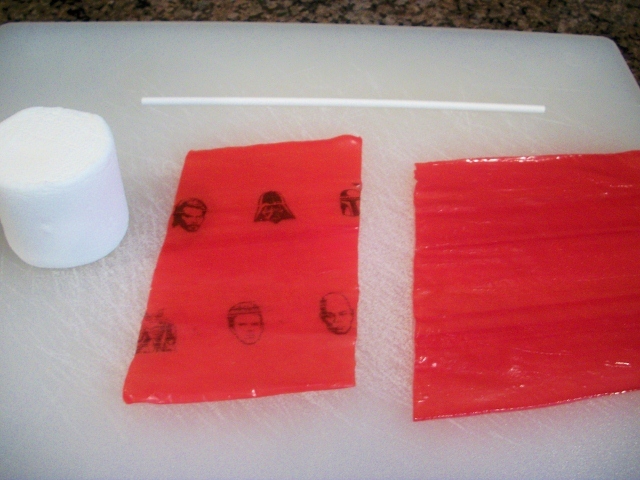 Place the marshmallow on a regular strawberry Fruit Roll Up. Cut out a circle leaving just a little to lay around the edges. Place the on top of the marshmallow and then wrap aorund the Star Wars Fruit Roll half. Press the edges…they will stick. Then poke through the lollipop stick. 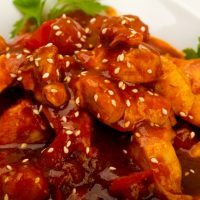 You can make these several days ahead to save you time. 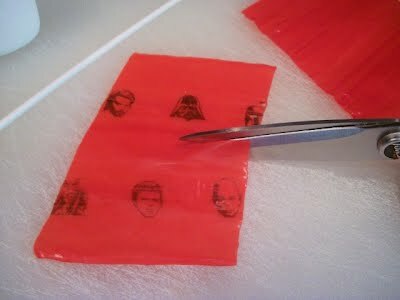 Store them by using the fruit roll wrappers and place on wax paper. 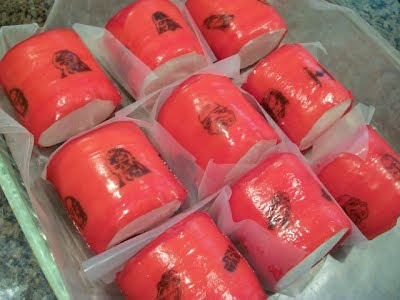 Pop them in the fridge a couple of hours before the party to make sure nothing sticks. Ours pops right off and worked out great! Make sure to check back with us all week for the rest of our Star Wars party food ideas and crafts! Next Post » Our 2012 Collection of Star Wars Party Food & Crafts!